Stephen I. Dwyer is a graduate of Loyola University School of Law where he was Editor in Chief of the Law Review. He is admitted to practice in Louisiana and in Texas and he is a licensed title insurance agent. Mr. Dwyer practices in the areas of business transactions, business litigation and commercial real estate development. He is a member of the Adjunct Faculty at Loyola University School of Law where he teaches real estate development law and he is a certified real estate lecturer. 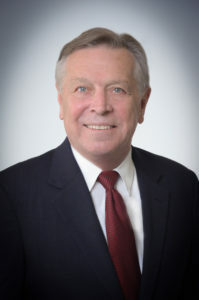 Mr. Dwyer also serves as a member of the Board of Governors of the Louisiana State Bar Association.